One of the final stops on our tour was to the school in Pripyat. 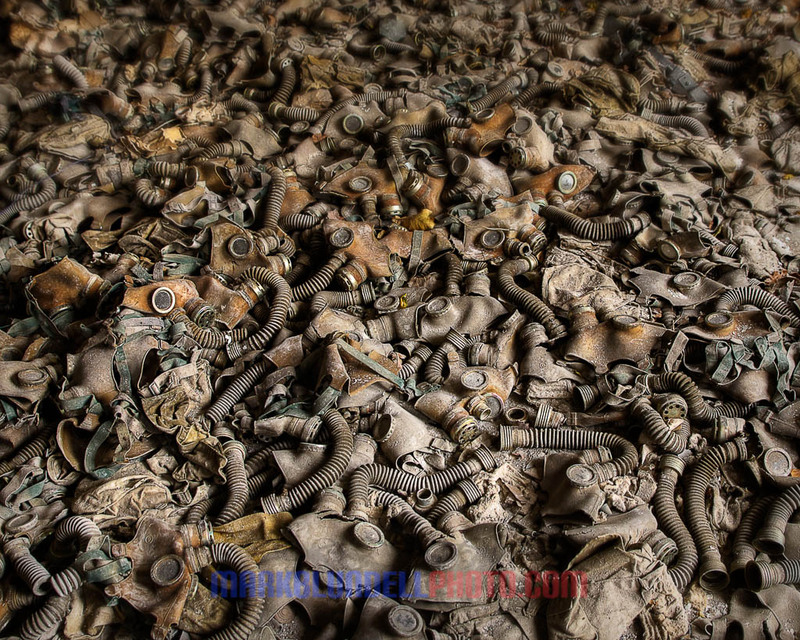 This was a shot that we all wanted to capture, its been taken hundreds of times before, but to actually see the number of gasmasks left here is astounding. There must have been around a thousand of these left on the floor of one of the classrooms on the ground floor, no doubt one for each of the children in the building. Whether or not these were used I don’t know, the accident happened in the middle of the night, and there was of course a cover up immediately afterwards with little information being sent out to the locals in the city. I’m unsure of the age of the children in the school, but judging by the books I would guess that they were from about age seven up, that would mean that they are around thirty now maybe with children of a similar age, some may even have passed away from illness related to the accident.